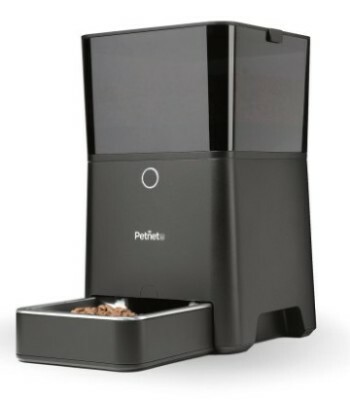 Pet Watch Automatic pet feeder with digital timer allows you to feed your cat up to 5 meals per day. 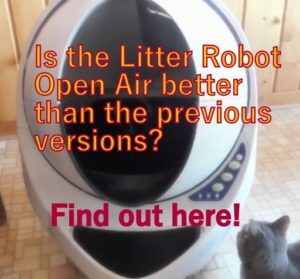 Each meal can be individually programmed at the time and size to best suit your cat’s needs, for example, you can program a big breakfast and a small dinner. 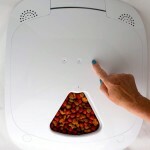 Additionally, you can do manual feedings at any time by pushing a “Feed” button to release food for your pet. 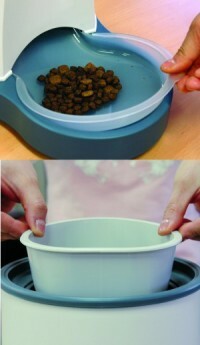 The feeder’s food hopper has a capacity of 1.54 lbs (700g) small kibble and it’s removable for easy cleaning. Pet Watch plays a melody when dispensing food to call your pet to eat. 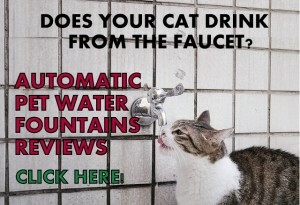 The volume is adjustable according to your pet’s sensitivity. The “Timer V” version allows you to record your own voice calling your pet to eat. 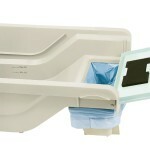 The feeder features a safety Interlock mechanism that makes the motor stop if the lid is opened when the feeder is operating. The unit has a strengthened chew-proof cord if you have a chewer pet. Pet Watch’s dispensing system consists of a motor with gears that dispense the food and a flap that regulates the dispensing. The feeder has 5 built-in digital timers which allow you to setup up to 5 meals a day, individually. The panel shows “Set 1”, “Set 2′, “Set 3”, “Set 4”, “Set 5” and you have to program each meal time and amount of food. The times of the first 3 settings come by default at 08:00, 12:30, 18:00; the other 2 don’t come with preset times. 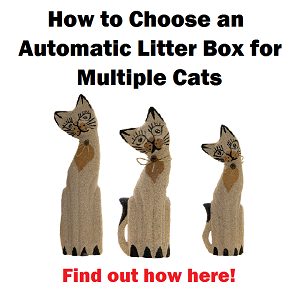 All 5 settings are adjustable to the hour and minute you need for your cat. 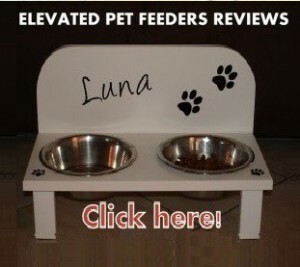 The feeder is meant to be used with kibble size up to 1 cm (2/5 inch) diameter. With this kibble size, you can feed your cat from a minimum of 0.35 Oz up to 2.82 Oz dry food at a time. Feeding portions can be incremented in Stages, from 1 – 8 Stages, where 1 Stage=10g (0.35 Oz). For example, to feed your cat a big breakfast you setup 5 Stages in “Set 1” which is 1.75 Oz on the first meal of the day. Check more pictures of the button functions (US link) here. 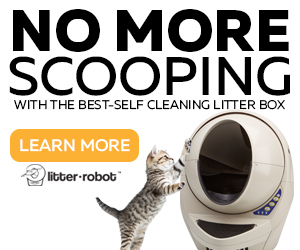 WHAT ARE THE PROS AND CONS OF PET WATCH PET FEEDER? Make sure to always press the button for 3 seconds when programming the feeder. 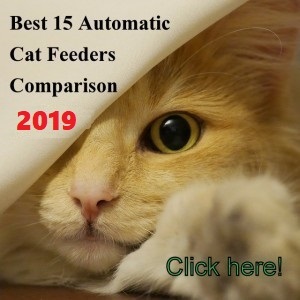 Pet Watch automatic pet feeder is a reliable and simple to program automatic feeder that works as advertised. 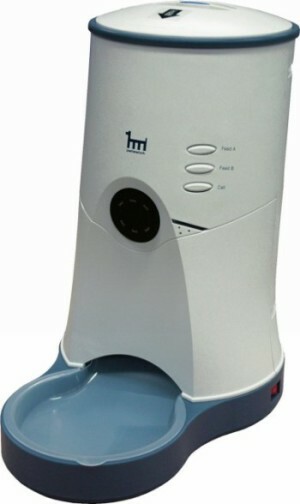 Pet Watch has two versions: the “Timer V” (with brown feeding tray) that allows you to record a personal message calling your pet to eat and the”Timer S” (with light blue feeding tray) that is basically the same but instead of playing a personal recording, the feeder plays a melody when dispensing food. Good for you! Glad you found something good and that works well. 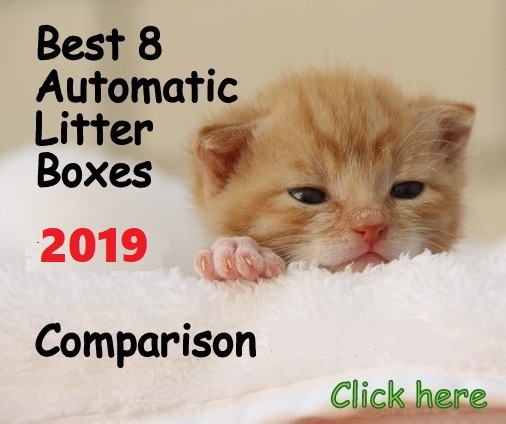 Automatic pet feeder is the better solution for the busy scheduled working people – and that’s ok too…..